Concert review by Mark B. The 80s. A decade I hold near and dear to my heart, especially since I was born during that glorious time frame. So many fun, weird and just plain interesting bands came and went quicker in that decade than any other, and among them The Human League, who defied the odds and managed to survive long enough to be rediscovered and rejuvenated. It may be 2011, but 80s style New Wave and Synth-Pop were alive and well in New York City on Friday, September 23 as the League brought their legendary style of Synth-Pop to the Best Buy Theater, accompanied by newly minted cult New Wave act Men Without Hats. Never in all my wildest new wave dreams did I believe I would ever have the opportunity to see Men Without Hats, one of the most notoriously catchy one hit wonders of the 80s, play a live show. 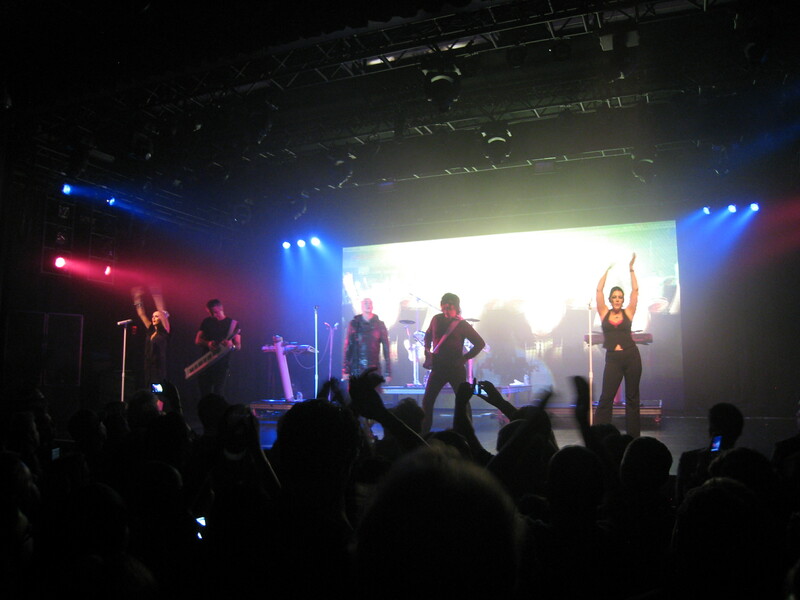 And yet, most likely thanks to the interesting choice of Human League’s management (wow, managers did something good), at exactly 8:30pm I had the privilege of seeing MWH take the stage to shockingly thunderous applauses, as part of their first national tour in over 20 years. And what a fantastic show they put on. Coming fresh from a successful U.S. tour kick-off at the SXSW festival in Austin, the Men managed to pull themselves out of obscurity and into the new millennium. Although the majority of their catalogue is unknown, save for “The Safety Dance” and possibly the minor hit “Pop Goes the World,” at this show you would have never known it, as the crowd enthusiastically sang along with every song during the hour-long set, which was peppered with catalogue faves like “Antarctica” and “I Like”. Sure, each of the songs ring of early 80s cheesy synth lines, but amazingly they somehow avoided sounding like a crusty nostalgia act. Truthfully, all thanks should go to the somewhat overly animated front man and founder Ivan Doroschuk, who grabbed hold of the crowd with his ridiculous leather cowboy hat and his incredible enthusiasm and positive energy. It was almost as if he was letting the crowd know “yes, this music is ridiculous…ridiculously fun and catchy that is,” and we all eagerly bought into it and never looked back. It is probably the most fun that I have had with an artist at a show in quite sometime. And thanks to Ivan and his band, it’s a great experience that I will never forget. But that’s not to say that they were able to claim the night solely for themselves. When the lights dimmed signaling the introduction of the Human League, a burst of emotional electricity rapidly surged throughout the audience, either that, or the older-folk’s Centrum Silver doses kicked in just in time. 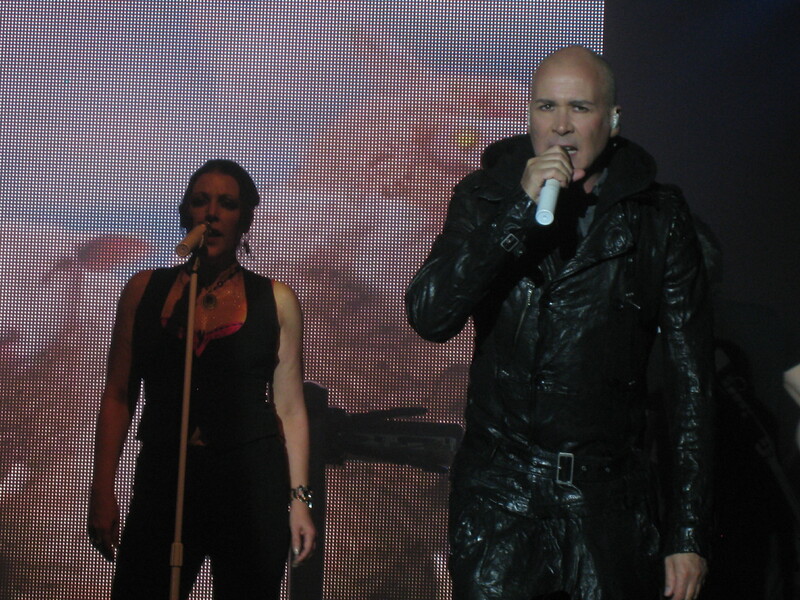 The 30+ years and going strong League, still led by the fashionably attired, magnetic front man Philip Oakey, along with partners Susan Ann Sulley and Joanne Catherall, commanded the stage for nearly 2 hours, running an evenly paced and outright fun journey through the list of usual hits (“Don’t You Want Me,” “Sound of the Crowd“ and “Human” among many) with some of their newer catalogue, being sure to make a few stops in the territory of their newest album in 10 years, Credo. Even two tunes from the first incarnation of the Human League made an appearance (“Being Boiled” and “Empire State Human”). Each song was rescued from staleness thanks to updated sounds and the competent jamming of their backing band, who were obviously having the time of their lives. And who could blame them? Let me just say this, while their music has always been a great listen, inducing plenty of random New Wave dance parties over the years, they sound better than absolutely incredible live, even more impressive considering how long they’ve been around. Most bands in their age range, especially those with the same amount of mileage on the road, tend to fade away, become embarrassing nostalgia acts, or worse, continue acting as if they were still in their 20’s while having to modify the song arrangements because they can’t keep up. But not the League, who never failed to hit their vocal ranges, looking quite effortless when they did (maybe Debbie Harry should talk to them about the upkeep of singing voices) and allowed their sound to be updated without ruining the fond memories or integrity. There is truly something to be said for a band that has been around for over three decades, and still sounds just as good, if not better today than they did 30 years ago. Long live the Human League. 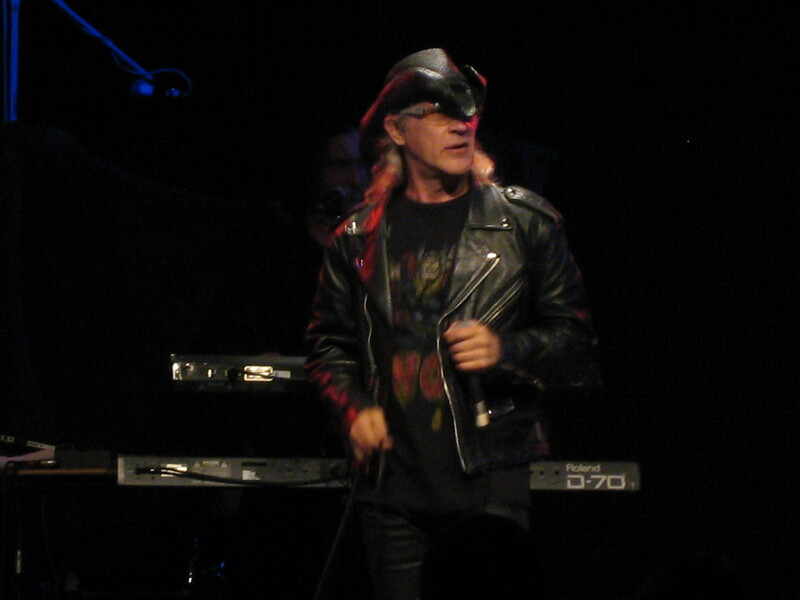 Rating for Men Without Hats: We can dance if we want to…and did. Rating for Human League: Amazing. I first came across MWH when Radio Bahrain (!) played 5 or 6 of the tracks from ‘Rhythm of Youth’ back to back. I’;ve only got to hear any track from that album and I transported back the best part of 25 years to when I was slim, not yet all-over grey and was having the time of my life!